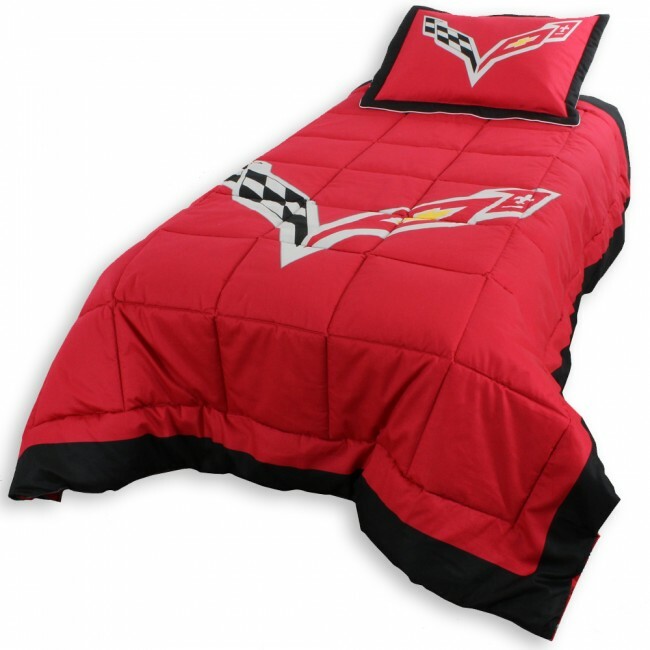 This set includes a reversible comforter, and one pillow sham, printed with a large C7 logo on front, and all 7 Corvette generation logos printed on the back, giving you two unique looks. Made from 100% cotton sateen with a 200 thread count for a softer feel. 86" L x 66" W. Imported.